If you've ever been stuck in a lengthy car ride with kids or been caught in an airport waiting on a delayed flight, you probably wished you had a second mobile device to keep you entertained. While phones have taken the top spot in portability, you can't always sacrifice precious battery power to watch movies or play games. Having a dead phone battery might leave you stranded or in a dangerous situation. Plus, if you've got kids in the back seat of that car, they won't necessarily be able to share the phone or see the smaller screen (cue complaining and whining to add to your already stressful situation). It may be time for you to consider buying a tablet. 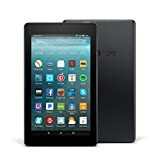 Of course, you are well aware that there is no shortage of choices, with iPads and Kindle seemingly grabbing the market share in recent years. You aren't looking for anything too fancy, just something reliable that you can take with you to provide an extra venue for reading, surfing the web and most importantly, keeping your kids from causing you to have a meltdown of adult proportions. You want something simple and reliable that can play movies and perhaps some games. Something that could be connected to a wireless network while on the go may also come in handy as well. Then there's always the matter of cost: You don't want to pay a car payment or two to make the transaction happen. There are more than a few options that may fit the bill. One such option is the Ellipsis 7 tablet. It seems to check all the boxes on your list, and budget-wise, it may be one of the best wallet-friendly choices for a few reasons. What does the Ellipsis have to offer? Will it hold up when it's needed most? How does it perform compared to some of the other comparable products available? To help you make a well-informed choice, we've done some of the research that you may not have time to do. We've taken a look at the features the Ellipsis has to offer, where it shines and yes, even some of the shortcomings. We've then given you a few similar and comparable options to check out should you still not be convinced. Finally, we'll give you an overall and honest rating for the product. Ellipsis or any other products reviewed do not compensate us, so our comments and recommendations are entirely unbiased and keeping on what's best for the consumer's needs in mind. Check out our full review below for the answers to all your burning questions. What Does the Ellipsis Have To Offer? In the spirit of full disclosure, the Ellipsis 7 is currently being phased out because they have started to improve the product and come out with at least one current version. This phase-out does not mean it will be unsupported or obsolete. 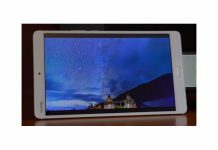 It means that you are in a position to land this tablet at an even more reasonable price than initially thought. Take a look at some of the other key features you should know about the Ellipsis 7. The first thing you probably want to know about is the display. 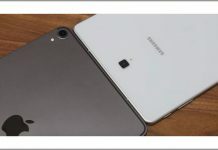 If the picture quality isn't up to par, then it's an easy pass, especially when compared to the Fire 7 HD and the like. Luckily, the Ellipsis 7 also has a 7-inch full high definition display, which gives you great color and detail for everything you read, watch and play. The images are crisp and clear, the colors vivid and bright. Gone are the days where a dark scene with a movie might be difficult to see. With the picture quality of the Ellipsis 7, you'll be able to see every detail no matter what the scene lighting or external lighting situation is. The Ellipsis 7 has a built-in 1.2GHz quad processor. What does this mean for you? It means it can keep up with a majority of games and movies. We won't say all because there may be something out there that runs slower, but on average, it has enough power to make movies and games flow without buffering and long load times. We did find some newer versions like the Ellipsis 8 that have slightly higher processors, but you'll pay more for a bump you may never even notice. The Ellipsis runs on Android technology meaning it interfaces well with Google-supported apps and the like. If you already own an Android phone, the interface will be somewhat recognizable. You will need to sync the device with a Gmail account, so if you're buying this for your kids, you may want to think about starting a child's account for them. Android provides excellent support and updates throughout the year, and the system will never become obsolete. An essential feature of any portable device is how long it can function before needing a charge. The folks at Ellipsis indicate you can get roughly 12 hours of play time before having to charge the device. We did some further digging and found that most regular users only get about 8 hours of usage on the tablet before having to charge it. There are more than a fair amount of reports that the Ellipsis may turn off at various times during use and indicate the battery is dead, even if the battery was adequately charged just moments before the shutoff. In fact, this is the number one complaint of existing customers. This can get frustrating if you're in a position where you depend on the battery functioning at a time when you can't plug it in. Battery life in mobile and portable devices seems to decrease as time goes by. Still, keep this in mind when taking a look at all your options. The internal memory isn't too large with 8 GB that may fill up quickly depending on how much content you download or how many apps you purchase. You can, however, expand the memory with the use of an SD card through the appropriate slot. You don't want to go through the hassle of purchasing a tablet only to have it dropped once by your toddler rendering it unusable. It's always a good idea to fit your tablet with a durable cover and screen protector before even using it the first time. However, you still want to make sure that even with those safety measures in place the tablet will hold up in an unfortunate event. The Ellipsis does not have the best record when it comes to durability. Many customers report that even with an adequate cover if dropped or jostled, the tablet may stop working or may start having issues. That cover may not do the job you expect it to do if your toddler decides to launch the Ellipsis from the couch. The Ellipsis 7 has been updated in the past few years which makes the current price of the model reasonable. You can get one through an online retailer such as Amazon (from third-party sellers) for as little as $. Verizon Wireless no longer sells the tablet, but it does sell the more updated version the Ellipsis 8 HD for $ to buy it outright or $ when you sign a two-year contract. Battery: Up to 8 hours of active use. Amazon accessories such as Alexa, Kindle Paperwhite reading technology and easy shopping directly through the online marketplace/make video calls or have Alexa text or send emails directly from the tablet/Prime members get access to movies, books and music straight from the tablet/download videos through Prime Video or Netflix for offline viewing/connect to the internet via WiFi/thinnest and lightest Fire available/free unlimited cloud storage/built for durability and holds up well in drop situations. The good and the bad should always be weighed against each other when trying to decide between products, especially when there are many available products on the market. Along with the three comparison tablets, there are at least a dozen or so more out there. We thought it might be a good idea to list some of the general pros and cons about the Ellipsis 7 to make it easy for you to refer to when you decide to go shopping, either in a store or online. The Ellipsis 7 tablet isn't the best on the market, but at its low price point, it may be a great option, especially for occasional use or for kids. 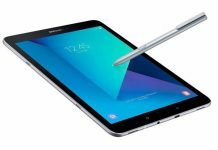 The crisp display and more than adequate processing speed, along with the support of Verizon's wireless network make it a decent choice for those wishing to enter the tablet realm without too much money or commitment. If you want a more durable and reliable product, however, we recommend the Amazon Fire Tablet 7. The Ellipsis 7 tablet is HD screen reflects high-quality images and battery life is fairly long for videos. However its connectivity dependent on Verizon network. Next articleTablets With Keyboard: Which Product Is Best For Your Needs?